I'm madly in LOVE with this!! I MUST show you how to make one too. I think these would make perfect Christmas, Baby Shower, Birthday or HouseWarming Gifts! I enjoy sharing the things I make so YOU too can make an inexpensive gift or maybe some income in your corner of the world. Quart wide mouth and regular mouth pint, jelly pint and half pint. I can't wait to hit some garage sales and find some of those blue and green mason jars. You will need to measure the top of your pump. This lets you know what size bit to use in the drill for a perfect fit. Note: You can measure and mark your center. But I think any kind of Epoxy, Adhesive or Glue would work. These are so cute! And they will definitely make great gifts! Thanks for the tutorial!! I'm visiting from new friend friday at the girl creative! Love these jars!!! 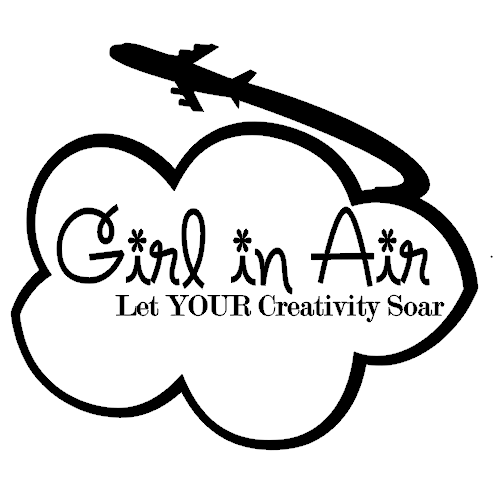 I'm a new friend from The Girl Creative Party Blog! Looking forward to checking out more of your blog! I am now following you thanks to New Friends Friday and it would be nice if you could share the love back on my blog! Terrific concept. And you did a great job. But, I'm not sure I'd want to have the drill bit by my toes!!! I'm klutzy. I love this jar idea!! Thanks so much for linking it to Crafty Friday! This is the second post I've seen on these jars. What a super idea and what a great tutorial. Love them for gifts. These turned out so cute. Love the one with the twine! Thanks for planting your creative seeds at Plant a Punkin Seed Party. Oh my, you're so crafty! These are so cute! I am now following your creative blog and it would be nice if you could share the love back on my blog! New Follower from boost my blog friday. Cute dispenser! How cute is that! I am a new follower. Come on over to my place and check out my blog. Thanks for the tutorial! I've seen these everywhere and really want to make one. I really like the idea of the stamped washers & twine! This turned out really cool. I love the hand-stamped washers too. Thanks for sharing. Wow- I never would have thought of that. But I love it- looks so cute! I just love this! I have seen these before, but this is the best tutorial by far! Thanks for sharing and stop by and see me sometime at CraftyHousewife.com! Love your tutorial!What a fun idea! I'm your latest follower from the Saturday blog hop! I love love love the mason jar idea, I just might have to steal that for Christams ideas!! I am your newest follower. I hope you can follow back at http://mylifeadventurebyme.blogspot.com/. That is so cute! And I think that it's sweet that you're a flight attendant. Just found your blog from Saturday Stalk for Savings! Have a great weekend. hey great idea and showing us all where to buy the parts: priceless! following your blog now...looking forward to more cool ideas! Hello! Following you from Saturday Stalk for Savings!!! Hi Michelle! Happy Met Monday! What a neat idea!!!! They would make wonderful gifts....and I'll bet that you'll sell alot of them in your booth, girl! Don'tcha just love raiding hubby's toolbox.....? lol! Great job! I absolutely love this! Creative, original - thanks or sharin.. The washers are a great touch. These are awesome! Visiting from A Silly Little Sparrow. Wow, I have become a follower of your blog. love these mason jars and the stamped washers. Too cool! Thanks for linking up to Mad Skills Monday! These are absolutely terrific! Thanks a bunch for joining us this week! Fabulous. I really have a thing for mason jars. I think how you decorated them is fabulous! Where did you get the pumps? Can you tell I am making some? Really cute idea!! I just had to comment because I actually know someone who is also in Sheridan, WY!! You may have heard of her since she owns a photography business there... Alissa Ferullo. If you haven't... you should totally check her out as her photos are amazing! She & I are friends from a few years back in CO. I'm your newest follower. Those are really cute! I'm your newest follower, too! Love it! Ordered my stamp kit and some lids. Can't wait to make some! Excellent tutorial! I'd love to make some of these. I really liked that drill measure device you used too. I've never seen that before. oh thank you!!! this project has been on my to do list forever now because I could never find a good tutorial. Yours is the first to be complete and explain thoroughly step-by-step. thank you, thank you! Just found this but I am definitely doing this. So cute. I absolutely love these and am going to make some. You are so right, wonderful, unique Christmas gifts. Thank you!! Oh i LOVE this!! One of the nicest detailings to a mason jar dispenser yet! The twine and tag are perfect!